Set in the Malaysian border town of the same name, BUNOHAN (RETURN TO MURDER) follows three estranged brothers whose fates become tragically intertwined in a web of deceit and corruption. 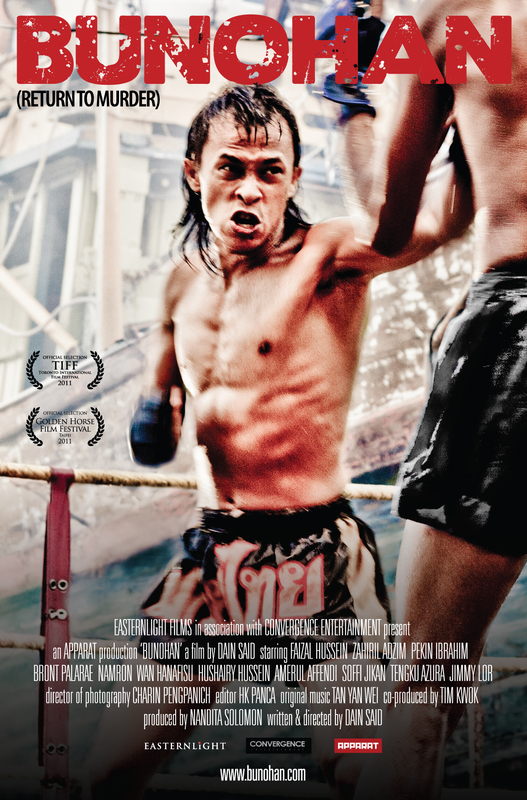 After fleeing a deathmatch in Thailand, ADIL (Zahril Adzim) the kickboxer is on the run from ILHAM (Faizal Hussein) the hitman. The pursuit leads to Bunohan (Murder), where they crash into the shady schemes of businessman BAKAR (Pekin Ibrahim). Their homecoming brings to light the past of POK ENG (Wan Hanafisu) the patriarch, whose secrets will unravel the lives of all.